We are fortunate to have some great raptors in our SE Kazakhstan region. Almaty is at the divide between Palearctic and Himalayan flora and fauna species so we are doubly blessed. 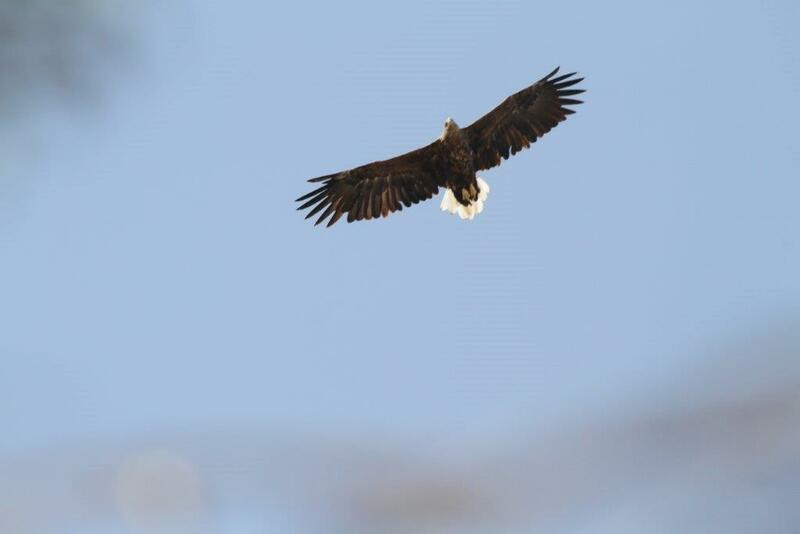 Steppe Eagles are the most numerous and our lakes have White-tailed (Sea) Eagles almost all year. I noticed them in the heat of the August sun this year so next year I hope I can locate their nest if they are breeding locally. We have Eastern Imperial Eagles in the winter and recently spotted Booted Eagles. 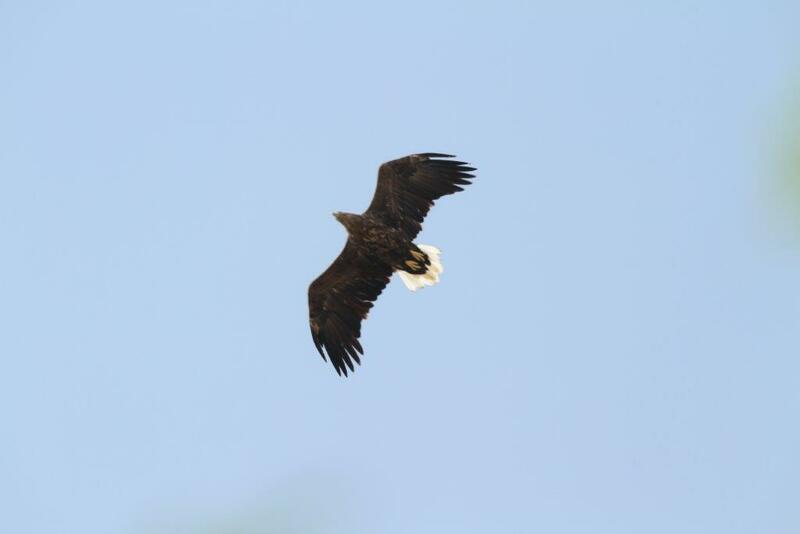 A migrating Greater-spotted Eagle was photographed recently and I suspect we have Short-toed (Snake) Eagles too although I have yet to see them here although I have seen them elsewhere in Central Asia. The mountains add Golden Eagles to this treasure trove and also in the mountains we have one of my favourites (elusive for many years for me) – Lammergeier. Himalayan Griffons and Black (Cinereous) Vultures are present but far more numerous along with European Griffons in Kyrgyzstan – a wonderful birding country. I suspect that there are Egyptian Vultures too but I have yet to see them here in SE Kaz although they are seen further west. I suspect Upland Buzzards but I have yet to record a confirmed sighting. Other raptors here include Black (Black-eared) Kites, Common/Eastern (japonicus) Buzzards, Long-legged Buzzards, Common and Lesser Kestrels, Shikra, Sparrowhawks, Hobbys, Barbary Falcons and Harriers – Pallid, W. Marsh and Hen although I have yet to see a Montague’s. Merlin may be seen in winter and I have seen only one Osprey in the last few years. I’m sure Sakers should be here too but again I have only seen them further west, particularly in Uzbekistan. And where are the Honey-Buzzards? Black-eared Kites migrate in their hundreds in September – a constant stream heading SW. This entry was posted in Kazakhstan Birds, Tienshan Mountains and tagged Almaty, Birding, Birds, Buzzard, Central Asia, Eagles, Kazakhstan, Kyrgyzstan, Migration, Mountains, Raptors, Steppe, Tienshan. Bookmark the permalink.